As I sit in this cozy little cottage on a Redskin/Cowboy Sunday afternoon, I can't help but feel all warm and fuzzy inside. I have surrounded myself with a pile of my favorite magazines to catch up on, vanilla scented candles burning away, great music and the anticipation of Thanksgiving just a few short days away. So before the craziness begins I just wanted to send a special thank-you to all our dear friends and customers.  Please know how thankful Ann and I are for your continued support and cottage love in the past two years. It really does mean sooooo much. And to my sweet friend and "business partner" - Ann. Your endless kindness, hard work and friendship means the world to me. I wouldn't want to nor could I do this without you. I truly have so much to be thankful for.